Veteran parodist and national treasure “Weird Al” Yankovic didn’t log his first number one album until earlier this year, but a more appropriate way to measure his success is by his stunning longevity - nearly 35 years poking fun at pop culture’s sacred cows and sacrificial lambs. But that was no sure thing back in 1989, when Yankovic co-wrote and starred in UHF, a hyperactive pastiche of cartoon antics, commercial parodies, TV-business satire, and his own special brand of free-floating strangeness that absolutely bombed at the summer box office and spelled doom for its fledging distributor, Orion Pictures. 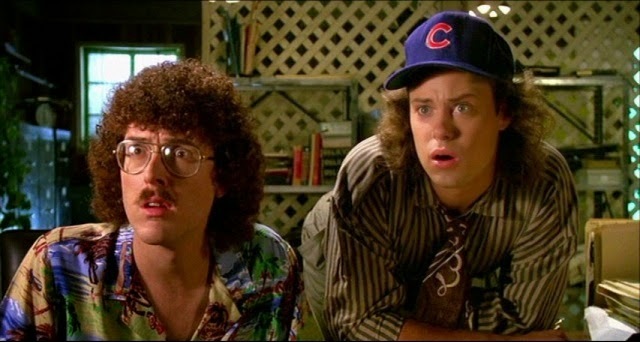 Alas, one man’s flop is another’s cult classic, and UHF has proven to be as much of a survivor as Al himself. In this episode, we welcome our first guest commentator - "Weird Al" aficionado Brian Rudloff - and try to understand Yankovic’s enduring appeal, as well as the film’s homage to American kitsch and its surprisingly sharp media satire.